Capt. 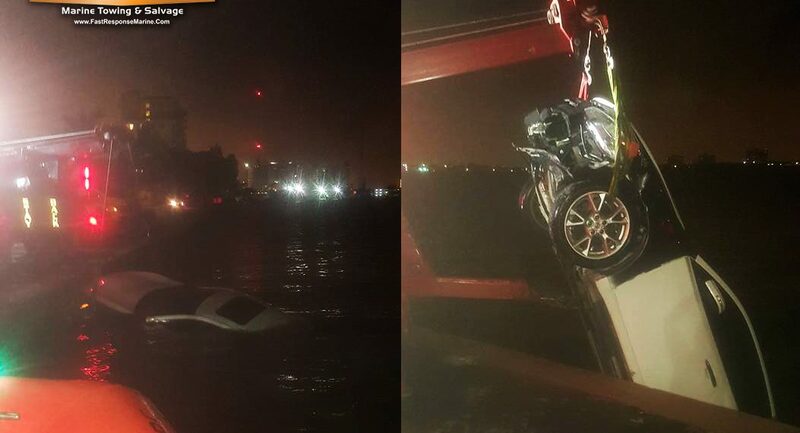 Chuck sprung into action after receiving a late night call on Friday, March 11, 2016, to aid in the recovery of a 2013 Nissan Maxima automobile that sank in the bay after an accident. Witnesses were unsure of the exact location, but Capt. Chuck was able to locate it swiftly underwater about 40 feet from the seawall. “It was a pleasure working with the crew of Prestige Towing and Recovery,” he reported after the salvage. Fortunately, no one was injured in the mishap.